We are happily full for the 2017 season, and no longer taking new applications for farmers and vendors. If you are interested in getting in touch about providing entertainment, volunteering, or participating in our community tent, email lexingtonfarmersmkt@gmail.com for more information. CLICK HERE for a link of sponsors, vendors, events and more. 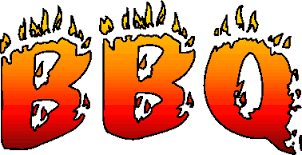 Please join us for the 7th Annual Lexington Battle Green BBQ Festival! Celebrate spring with Boston's best BBQ, craft beer, and music festival. Each year we gather a handful of local barbecue vendors, up-and-coming craft breweries, and great live bands together for a fun family festival, which benefits LABBB Education Collaborative, helping students with special needs. Let’s face it. There are numerous lifestyle benefits to owning a Lexington home, which have nothing to do with your finances. You can decorate and design your home as you wish, you can feel more safe and secure, you can grow roots in your neighborhood and community, and the list goes on. But as a Lexington real estate agent, I know that the financial perks to homeownership are often the deciding factor for first-time buyers! So, let’s talk about what some of those are. 1. Buying is cheaper than renting. If you’re currently renting, you know how much money you’re throwing away each month. In a Rent vs Buy Report from Trulia, numbers show that homeownership is cheaper than renting with a traditional 30-year fixed rate mortgage in all of the 100 largest metros in the U.S. This is partly due to interest rates remaining low, and rental appreciation skyrocketing, with no end in sight! The study found that rates would have to reach 9.1 percent before renting would be cheaper than owning! In the long run, owning is cheaper. 2. Homeownership is forced savings. Not only are you saving money when owning rather than renting, as I explained in the previous point, but you are also investing in your future with that money! When you rent, you never see that money again. When you own, you get most, all or more of your money back when you sell. Your mortgage is basically a forced savings account, because you are building equity! You can stop investing in your landlord’s future and start investing in your own. 3. Home price appreciation will continue. Pulsenomics surveys a panel of economists and real estate experts quarterly, to find out where home prices are expected to head over the next five years, and then they average the projection into a single number. The latest numbers predict that home prices will appreciate 3.22 percent each year and grow by 17.3 percent cumulatively. That means that if you buy a Lexington home soon, you’ll save money, and the value increase of your home looks really good! These financial homeownership perks don’t even get into the several tax deductions you might qualify for as a homeowner. 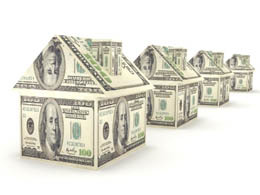 There are so many reasons to own a Lexington home, both financial and personal! Don’t put off accomplishing the American Dream any longer. Contact me, your Lexington MA real estate agent. Let’s get you started with the home-buying process in the Lexington MA real estate market! Test your Lexington trivia knowledge, historical and contemporary, with questions from local author and historian Rick Beyer. Light refreshments will be provided by Neillo's. Family friendly, free, and open to the public! Book Group discussion of The Train to Crystal City: FDR's Secret Prisoner Exchange Program and America's Only Family Internment Camp During World War II by Jan Jarboe Russell. Coffee and dessert will be provided. 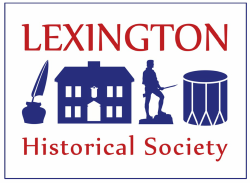 Free and open to the public - please register by calling the Historical Society office at 781-862-1703 or emailing programs@lexingtonhistory.org. This popular annual event is here again! Mark your calendars, and find yourself a treasure! This is truly a one-of-a-kind sale of antiques, vintage and retro housewares, decorative items, and fashion pieces.